On 16 December 1944, the Germans launched the last major offensive of the war, Operation Mist, also known as the Ardennes Offensive and the Battle of the Bulge, an attempt to push the Allied front line west from northern France to northwestern Belgium. The Battle of the Bulge, so-called because the Germans created a "bulge" around the area of the Ardennes forest in pushing through the American defensive line, was the largest fought on the Western front. The Germans threw 250,000 soldiers into the initial assault, 14 German infantry divisions guarded by five panzer divisions against a mere 80,000 Americans. 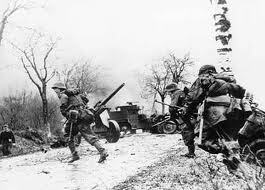 Their assault came in early morning at the weakest part of the Allied line, an 80-mile poorly protected stretch of hilly, woody forest (the Allies simply believed the Ardennes too difficult to traverse, and therefore an unlikely location for a German offensive). Between the vulnerability of the thin, isolated American units and the thick fog that prevented Allied air cover from discovering German movement, the Germans were able to push the Americans into retreat. One particularly effective German trick was the use of English-speaking German commandos who infiltrated American lines and, using captured U.S. uniforms, trucks, and jeeps, impersonated U.S. military and sabotaged communications. 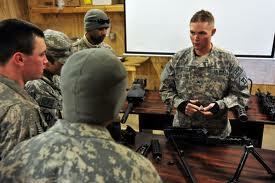 The ploy caused widespread chaos and suspicion among the American troops as to the identity of fellow soldiers--even after the ruse was discovered. Even General Omar Bradley himself had to prove his identity three times--by answering questions about football and Betty Grable--before being allowed to pass a sentry point. The battle raged for three weeks, resulting in a massive loss of American and civilian life. Nazi atrocities abounded, including the murder of 72 American soldiers by SS soldiers in the Ardennes town of Malmedy. Historian Stephen Ambrose estimated that by war's end, "Of the 600,000 GIs involved, almost 20,000 were killed, another 20,000 were captured, and 40,000 were wounded." The United States also suffered its second-largest surrender of troops of the war: More than 7,500 members of the 106th Infantry Division capitulated at one time at Schnee Eifel. The devastating ferocity of the conflict also made desertion an issue for the American troops; General Eisenhower was forced to make an example of Private Eddie Slovik, the first American executed for desertion since the Civil War. The war would not end until better weather enabled American aircraft to bomb and strafe German positions. Many residents from Bridgewater participated in this epic and decisive battle. We enjoy our Holidays because of the sacrifices of the men and women of our armed forces – past, present and future. May you and yours have a Happy and Joyous Holiday Season. Merry Christmas and Happy Hannukah! There is an all night on street parking ban in effect between the hours of 2 AM and 5AM from December 1st through April 1st. Vehicles parked on the street or sidewalk will be ticketed by the Police Department. During snow plowing operations, they will be towed at the owner’s expense, regardless of time of day. It is illegal to remove snow or ice from private property and place it in the roadway or sidewalk. This can create a hazardous condition where the homeowner may be held liable in the event of an accident caused by this. Visit www.christmasonthecommon.com for more information. drinks. Music provided by Oldies 103.3 and Bridgewater Antiphonal Brass Society. The Bridgewater Masons Hall, next to the Common, will be host to our 3rd Annual Christmas Bazaar. There will be many BBA member booths on the Common as well. Decorations on the Common provided by the Bridgewater Lions Club. The BBA is proud that this event has consistently grown in popularity and attendance since 1998. The BBA is thankful for all the help and cooperation they have received over the years from local businesses and members. Without them, this event, along with our extremely popular AutumnFest, would not be possible. Admission is free. Select activities at the event do cost money to participate. There is parking around the common and the event is within walking distance from many locations. All the net proceeds from Christmas on the Common go towards the BBA Charity Fund. Through the Charity fund, the BBA has donated over $60,000 and helped more than 300 Bridgewater residents since 2006. Through Christmas on the Common, the BBA can continue to assist residents of Bridgewater, especially in these tough economic times, by paying a gas, oil or electric bill to provide needed heat, buy toys for children, or purchase food during the holidays. On Friday evening December 2, 2011 Bridgewater Youth Basketball (both Boys and Girls) will be jointly hosting a fundraising Dinner/Dance at the Bridgewater Vets Club on Cottage Street. We hope this dinner will become an annual event to raise funds for youth basketball and to celebrate the tip off the basketball season. Tickets are $20 per person and can be purchased online by clicking here. Tickets purchased online will be available for pickup at the door on the night of the event. 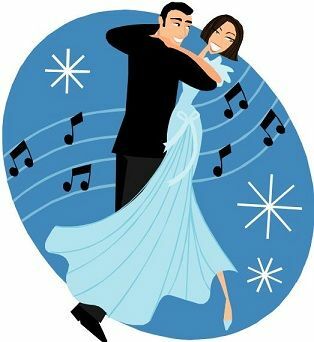 The dinner/dance will run from 7:00 PM to midnight and features a buffet dinner catered by the 99 Restaurant. There will also be a live DJ, raffles and much more. This event promises to be a fun night out for all the basketball parents and a great way to support the Bridgewater Youth Basketball program. Please consider purchasing tickets today. The Highway Department requests that residents do not rake leaves from their private property into the roadway. The Highway Department will pick up leaves that fall on the roadside only. 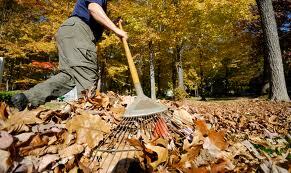 We will not pick up leaves that have been raked from private property to the roadside. Transfer Station hours of operation are Mondays, Tuesdays, Fridays from 9 AM to 4 PM, Saturdays from 7 AM to 2 PM, and Sundays from 8 AM until Noon. Leaves must be emptied from plastic bags. 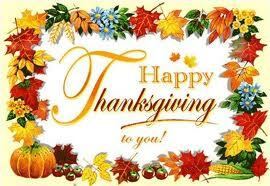 Around the Common wishes you and yours a very Happy Thanksgiving! We are thankful you follow Around the Common. Families with children at the George Mitchell Elementary School have been given a brochure/order form for the Wear Your Town fundraiser which will benefit the Mitchell School. All orders for students and families/friends need to be returned to the school by December 1st to ensure delivery by December 22nd. Orders will be picked up at the school. Wear Your Town is also donating 30% of proceeds to the George Mitchell School Parents Association. Any one else that wants to place an order who is not associated with the school can do so by emailing Wear Your Town at info@wearyourtown.com. All the information can be found on their website by clicking here. There are pictures of products with color and size info. All Christmas orders should be in by December 4th and Wear Your Town provides free delivery. Email orders are paid by check to "wearyourtown" and should be mailed to wearyourtown, 215 Grange Park, Bridgewater, MA. Once order is placed and payment is received, customers will receive a confirmation email. The Ninety Nine Restaurants invites you to a fundraiser to benefit Pack 88 Bridgewater Cub Scouts. The event will take place on Monday, December 5th from 5PM to 8PM. Please print out the coupon above for more information and to ensure 15% of your check is donated to the Pack 88 Bridgewater Cub Scouts. BRIDGEWATER ---- Henry Callan, a well know appraiser and antiques dealer, will be the guest speaker at the Bridgewater Public Library on Tuesday, November 29th at 7:00 PM. The program will be An Evening of Antiques Appraisals. All kinds of antiques will be appraised with the exception of stamps, coins and jewelry. If an object is not easily transportable, a good quality photo may be used instead. Attendees are asked to limit their items to two, in order that everybody may have a chance to participate. Mr. Callan, a resident of East Sandwich, because interested in antiques at the age of thirteen when he purchased his first antique clock. He has been buying and selling antiques since 1969 and is a member of the New England Appraisers’ Association. He appraises for estate and insurance purposes. He has a Master’s Degree in history and taught a course on antiques at Cape Cod Community College for fifteen years. Mr. Callan has entertained dozens of historical societies, libraries and clubs on the topics of antiques, folk art, Chinese Export porcelain, American samplers, quilts and coverlets and even the legends and traditions of the Christmas season. This free program is funded by the Friends of the Bridgewater Public Library. It will be held in the Flora T. Little Room on the lower level. The library is located at 15 South Street, near the Town Common. The Children's Room at the Bridgewater Public Library will present a Book Bingo program on Tuesday, November 29th from 2PM to 2:45PM. November 29th is an early release day from school. Using illustrations from favorite picture books, children will match these pictures on their Bingo game boards. 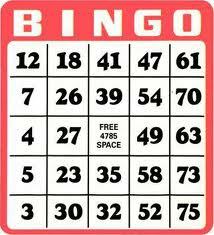 Book Bingo is for children age 6 and up. Registration is required and is now open. To register, drop by the Children's Room or call 508-697-3331. Experience a magical bus ride through town enjoying the sights and sounds of the Holidays! Pajamas may be worn. The trip begins and ends at Legion Field and the Festival Express Conductor will bring you on a journey of magic and fun stopping at the Festival of Lights to see Santa. Tickets are $10 per person. Seats are limited, don't be left out. For tickets or more information, please call 508-697-3660. This event is brought to you by the Bridgewater Academy Lions and A&A Metro. Please help the Bridgewater Academy Lions Club raise funds for the Senior Center and for the holiday decorations on the Common. You can do this by buying tickets to the BALC's Breakfast with Santa. 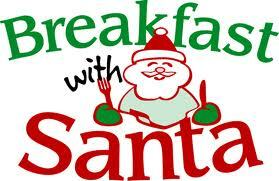 In addition to a hearty breakfast, photos with Santa and a mini bake sale will be available. For this service project, the Bridgewater Academy Lions will divide the new proceeds from breakfast ticket sales equally between the Senior Center and the maintenance of the holiday lights and decorations on the Common. 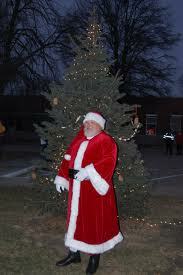 Proceeds from the Santa photos and the bake sale will benefit Bridgewater Academy Lions' local charities and programs. 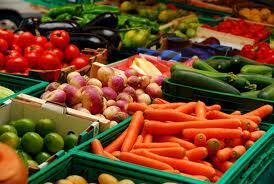 Advance ticket sales are needed to know how much food to purchase. Tickets may be purchased at the Senior Center or by calling Lion Vale Sime at 508-697-6663. Tickets are $5.00 per person and 3-10 year old are $3.50/each. The Bridgewater-Raynham Special Education Parents Advisory Council (BR-SEPAC) will be offering a workshop with Gina Gallagher and Patty Konjoian, authors of the book A Survival Guide for Ordinary Parents of Special Children. This workshop will be held on Wednesday, December 7th, 2011 and will begin at 7 pm. The workshop will be held at the Bridgewater-Raynham High School Lecture Hall (second floor) located at 415 Center Street, Bridgewater, MA. The workshop will show attendees how to leverage the healing power of laughter, connect with other imperfect parents, collaborate with schools to get your children the services they need, and let go of the expectations and learn to love the reality or raising a special child. The workshop is FREE and open to ALL. The Bridgewater Community Lions are sponsoring a display of posters created by 6th grade students from the Bridgewater Intermediate School. This is part of the annual Lions Club International Peace Poster Contest. This year's theme is: Children Know Peace. The posters will be displayed for the next two weeks at the Bridgewater Public Library. The Bridgewater Farmers Market will be having a planning meeting to elect board members and address items for next year's market. If you are interested in being a part of the market, please feel free to attend. An RSVP is required to know if you're coming ahead of time for space reasons. There is no obligation to do anything in the future, if you just are looking to see what is happening. The meeting will be on December 4th at 2 PM at 20 Yoke Rd in Bridgewater. To RSVP for the meeting please email bridgewaterfarmersmarket@gmail.com. The Trustees of the Bridgewater Public Library are pleased to welcome a new board member, Brandy S. Thornhill. Brandy is a stay at home mother with two children, Brian and Owen. She is a past chapter president of MOMS Club, an organization of stay at home mothers that support one another and the community. Before having children, she worked in Boston at Manulife Financial. The library was a huge part of developing my love of the written word. I remember how vital the library was to me and my family growing up. It provided a sense of community, an endless supply of entertaining books and a safe place for my sisters and me to spend time and work on our homework. Now that I have a family of my own, shortly after moving to Bridgewater we took a trip down to our beautiful library in our great town center. We immediately took advantage of the great programs for the children. Our children always look forward to our trips to the library, going to a program or to get a new supply of boos. When the library was forced to limit their hours, it affected our family greatly as I’m sure it did a lot of families in Bridgewater. I am greatly honored to be a Trustee of the Bridgewater Public Library and I will do my best to do my part in strengthening the library and developing a library for the 21st century. Brandy joins the library’s nine member Board of Trustees --- Judith Gabriel (chair), Pam Arrighi, Ellen Chiocca Carey, Janet Dye, Eric Gibson, Pamela Hayes-Bohanan, Bill Rivers and Nancy Sarno. On the evening of November 9, 2011 at the annual Contractor of the Year (CotY) Awards, The National Association of the Remodeling Industry (NARI) awarded Thorson Restoration & Construction of Bridgewater, MA with the highest honors, Gold Contractor of the Year Awards in 4 separate categories as well as the highly esteemed Customer Service Award. The Customer Service Award is given to the company that displayed the highest level of customer service as rated by their customers. A detailed survey was sent to the clients of each company vying for the award. The customer was to give their evaluation of the company’s level of quality, craftsmanship, timeliness, professionalism, communication skills, value for the money and managing of the client’s budget. Among the projects Submitted by Thorson which received the highest gold honors were a Bridgewater Historical Restoration, Norwell Kitchen Remodel, Duxbury Addition and a Wellesley Basement Remodel. The good reputation Thorson has built in these communities and Thorson’s well earned recognition at this year’s NARI Contractor of the year awards has been due in part to their ability to maintain an unmatched level of dedication to servicing their client’s needs and desires through every phase of the construction & restoration process. For almost twenty years Eric Thorson and his staff of skilled and dedicated craftsman and office personnel have worked together to create a team of professionals that provide high quality products, services and solutions to their clients. Contractors from the northeast region vie for CotY Awards on an annual basis, and all regional winners will be eligible for National CotY Awards. Thorson Restoration & Construction is an active member in the newly merged Eastern MA/Cape Cod NARI Chapter. Educate yourself about distracted driving, drunk driving, state laws and how seat belts save lives. Honor the lives that were taken too soon by Making Your Promise. Special guest speaker will be Dr. Howard London, provost at BSU, who lost his son Adam in a car accident in 2010. Dr. London will give a person perspective on seat belt safety. For more information, please visit www.apromisetoadam.org. Bridgewater Fire Department Wins $10,000 Grant! In the Fall of 2011, communities rallied to showcase their fire safety smarts. Through Liberty Mutual's Be Fire Smart program, the Town of Bridgewater's Fire Department has won a $10,000.00 grant! To promote the Be Fire Smart Fire Safety Pledge Program in their community, the Bridgewater Fire Department used many resources including the local cable network and local newspapers. The Bridgewater Fire Department plans to use the grant money to purchase rescue equipment for their new fire engine. Chief George Rogers, had this to say, "It is amazing what this community can accomplish when it sticks together." According to Liberty Mutual Sales Representative Andrew Corndell, "We wanted to market the program in the community as much as possible. We teamed up with Bridgewater State University and the regional school district to help us promote the grant." Shop from several vendors and crafters with great holiday gift ideas! Free crafts for the kids. Make a card for a Soldier. Bring your cameras for pictures with Gumby, Chewbacca and Frosty! Bring an item for the care packages and receive a free raffle ticket (1 per person.) Baby wipes, socks, hand warmers and gloves are most requested right now. ALL PROCEEDS BENEFIT TEAM MASSACHUSETTS’ HOLIDAY CARE PACKAGES. This annual holiday event is held on the Bridgewater Common (even in the snow!). Bring the family to meet Santa Claus and Mrs Claus and get your photo taken, Pony Rides, holiday music, food and hot drinks. Music provided by Oldies 103.3 and Trinity Covenant Church. The Bridgewater Masons Hall, next to the Common, will be host to our Christmas Bazaar. There will be many BBA member booths on site as well. The BBA is proud to state that this event has consistantly grown in popularity and attendence since 1998. 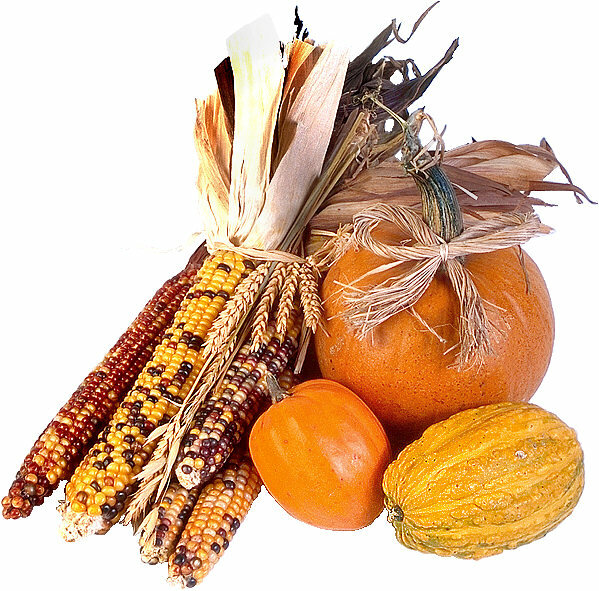 The BBA is thankful for all the help and cooperation they have received over the years from local businesses and members. Without them this event, along with the extremely popular AutumnFest, would not be possible. Admission is free. Select activities at the event do cost money to participate. There is parking around the common and the event is within walking distance from the center of town. All the net proceeds from Christmas on the Common go towards the BBA Charity Fund. Through the Charity fund, the BBA has donated over $50,000 and helped more than 200 Bridgewater residents. Through Christmas on the Common 2010, the BBA can continue to assist residents of Bridgewater, especially in these tough economic times, by paying a gas or electric bill to provide needed heat, buy toys for children, or purchase food during the holidays. The Mason Hall has graciously offered to let us use their hall again this year for vendors who want to set up inside, but there is very limited space. There are still a few spaces available for both BBA members and non-members to participate. Please contact Nancy Thrasher at 508-697-2731 if you would like to reserve your space. There is unlimited space on the Common and is open to anyone who would prefer to set up outside where Santa will be. From 4-6 PM on Wednesday November 16, 2011, at the Bridgewater Dining Room of the Rondelieu Campus Center, Bridgewater State University and the Town of Bridgewater’s Community Development Advisory Committee (CDAC) will make joint presentations of the University’s Master Plan and the CDAC’s proposal for Downtown Revitalization. The public is encouraged to attend. This is a unique opportunity to hear and be heard; to be well informed on what is planned for this very important portion of our town. Decisions being made now will definitely impact the future of our lovely town. The public is invited to a Fireside chat with Ms. Yan Chan of Beijing, Ms. Lemin Wang of Shanghai and Ms. Desiree Flowers of Belize to learn about their experience as women in their homelands far away and about their culture, customs and current events. Refreshments will be served. Members of the Bridgewater community are invited. For more information and to RSVP, please call Sue McCombe at 508-531-2510 or email smccombe@bridgew.edu. 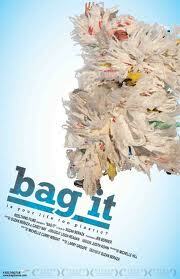 Bag It has been winning awards at film festivals across the country. What started as a documentary about plastic bags has evolved into an investigation into plastics and their effect on our rivers, oceans, and our bodies. Please try to catch this film and spread the word. The Wildlands Trust will be hosting a trail walk and fun run on Sunday, November 13th. This trail walk/run is open to the public and is for walkers and runners of all skills. The event will begin at 10AM at the Great River Preserve in Bridgewater. Directions: From Rt. 106 East, West Center Street, bear right onto Rt. 28/S Main Street, bear left onto Rt. 104/ Summer Street. Bear right onto Walnut Street, and left onto Auburn Street. Continue on Auburn Street about 1/2 mile to the Trailhead Parking Lot on right. The Massachusetts Center for Native American Awareness (MCNAA) and Bridgewater State University will host the third powwow at BSU on November 13, 2011 in the Kelly Gym from 11 AM-6 PM. Free Admission. The powwow will feature traditional and intertribal dancing, Native American art and craft vendors, Native food, storytelling activities for children, an educational workshop for teachers, and more. The event is sponsored by MCNAA and BSU's Office of Institutional Diversity and the U.S. Ethnic Studies Program. The Bridgewater-Raynham Special Education Parents Advisory Council (BR-SEPAC) will be holding their monthly informational meeting on Tuesday, November 15th at 6:30 pm. Following the meeting at 7 pm, the school will hold a "Basic Rights Lecture". The meeting will be held at the Bridgewater-Raynham Regional High School Lecture Hall (second floor) located at 415 Center Street, Bridgewater, MA. The BR-SEPAC is made up of parents that represent about 850 children with special needs within the Bridgewater-Raynham School district. The BR-SEPAC works collaboratively with the Bridgewater-Raynham Public Schools and Bridgewater-Raynham School Committee to provide resources and information for parents, school personnel, and the community about disabilities and the special education process. The Bridgewater Cultural Council will be holding an open meeting at the BTV Access Cable Studios at 80 Spring Street, Bridgewater, MA on Sunday, November 13th at 3:00 PM. The meeting is open to the public.